We can repair all alarms in Dublin, Kildare, Meath, Wicklow and Louth areas. Astec 63 alarms, Astec 63D alarms, Astec 63DV alarms, Astec Fusion alarms, Astec 49 alarms, Astec 49D alarms, Aritech CS250 alarms, Aritech CS350 alarms, Aritech CS450 alarms, HKC Securewatch 6/10 alarms, HKC Securewatch 8/12 alarms, HKC Securewatch 10/70 alarms, HKC Securewatch Quantum alarms, Pyronic alarms, Europlex alarms, Scopetronic alarms, Meridian alarms, Horizon alarms, Simon alarms, Concorde alarms, Verifier alarms, Visonic alarms, Scantronic alarms, GSM units. Astec alarms systems were introduced in the nineties to the Irish market, They were a huge success and were installed all over Ireland. In 2012 Astec closed its doors and stopped manufacturing all its products, including the astec 49d, the astec 63d and the astec fusion Panels . If an astec alarm needs to be repaired ESP can in most cases deal with the problem – we have access to some equipment which will work with astec systems, an example of this is the external siren – in that case we can install HKC external bell box, hopefully saving the customer the added cost of replacing the full alarm system. Some other equipment is more difficult to access, but in almost all cases the existing wiring can be reused to install the new alarm system. In the event of the alarm system being beyond repair then ESP uses a HKC Securewatch 10/70 panel – this is both a wired and a wire free panel so if we need to replace any sensors or add sensors because of a home extension we can use wire free sensors reducing the need for any new wiring. For the last twenty years ESP Security has installed many Aritec security alarm panels, including the Aritec CS350, Aritech CS 450 or Aritech CS250. Some of these are no longer manufactured by Aritec but they do need updating, servicing and in some cases repaired. The type of repairs needed are sensor repairs or sensor replacement. When repairing or replacing Aritec sensors we use either HKC or Aritec sensors as these are very reliable sensors . One of the biggest selling alarm panels we installed in twenty years of business is the Aritec CS350 and a huge amount of these panels are still working perfectly after twenty years. However it is important to have these systems serviced at regular intervals, whilst testing the Aritech backup battery in the event of a electricity power cut. HKC alarm Systems is an Irish company established two decades ago and since the early nineties have successfully been serving the Irish market and are now market leaders. 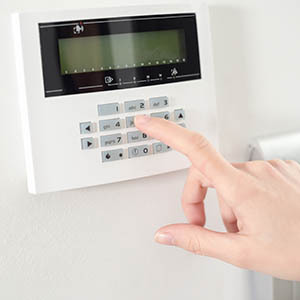 ESP Security repair all types of alarm systems. The largest selling system in Ireland is the HKC system. A typical call out for a HKC Alarm system might be to replace a HKC battery in the panel (these HKC batteries last about six years) or a HKC sensor battery. Each HKC wire free part has a battery and these HKC batteries will need to be replaced. Some of our call outs for HKC alarm systems are to extend the HKC alarm system – perhaps to cover a new extension or to replace an older HKC system with a more up to date HKC System. Once a customer has used a HKC alarm system, they usually like to stick to the same product when updating their alarm system. In some cases their may be cables damaged on the older HKC alarm system. In that case instead of trying to find a faulty cable inside a wall, we can use wire free sensors to protect the window or door. This mixture of HKC wire free sensors and HKC wired sensors can be used when a builder has forgotten to wire a window in a new build or the cable has been damaged during construction . In 2010 HKC alarms entered the UK market and has rapidly become a trusted brand delivering high quality HKC alarm panels . HKC batteries for sensors and fobs in vans . (b) is installed AND maintained (i.e. a Service Contract should be in place) by an intruder alarm company approved by NSAI (National Standards Authority of Ireland), EQA Ireland and other recognised Certification companies. ESP understands that what you, as the client, want is peace of mind. 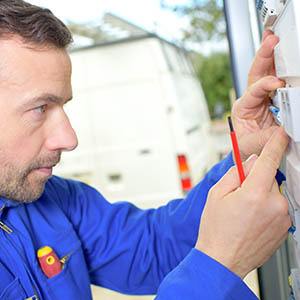 Our service and maintenance contract for your security, CCTV or access control system is equivalent to combined regular servicing and breakdown cover on your car. Regular preventative inspections are backed-up with a rapid prioritised response, if required. Peace of Mind: You depend on your security system to provide safe and secure premises for your staff and visitors. So it makes sense that your system is kept in optimum condition, with 24 hour emergency cover that you can always count on if it is needed. Save Money: Regular servicing will also ensure the maximum component life and result in lower system downtime. You will also save money by avoiding non-contracted hourly rates. Compliance: Current industry standards including EN Standards, and The Health and Safety at Work Act all require that security systems that fall within their remit are covered under a formal maintenance agreement. Stay Covered: Your insurance company will usually require you to regularly maintain your security system. If you have not arranged appropriate cover your insurance claims may be invalid. In addition, all security systems that are financed under a Lease Agreement must have a current service and maintenance contract.